Schuman & Lichtenstein was founded in 1941 by Sidney Schuman and Samuel Lichtenstein, who met working for Bell Telephone . The firm’s record in these early years is sparse, unsurprising given the lack of construction projects due to the shortage of materials and labor during World War II. After the war, the firm is mostly listed as working on alterations to existing buildings in Manhattan until 1950. In that year, the firm began getting commissions for synagogues. 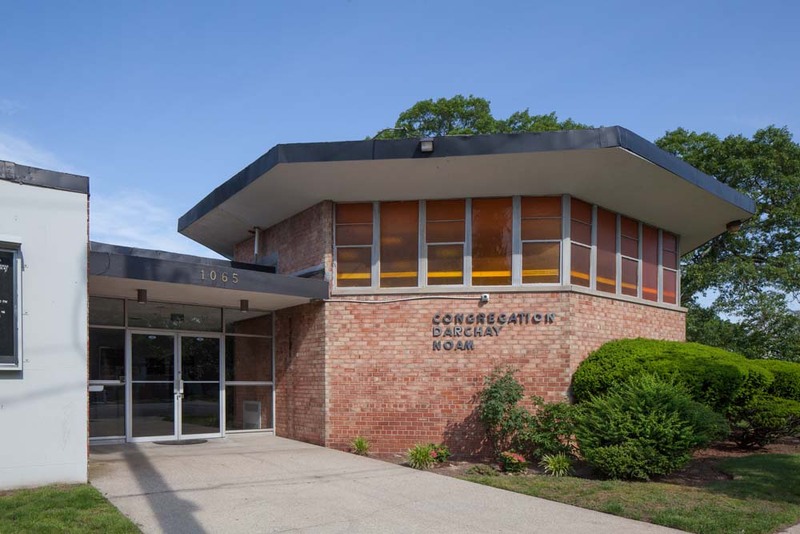 By the end of the decade they had completed Temple Beth Shalom in Lawrence, New York, Adath Israel in Astoria, Queens, the Community Synagogue of Rye, New York, Jewish Community Center of Harrison, New York, and Bayswater Jewish Center in Far Rockaway, Queens. 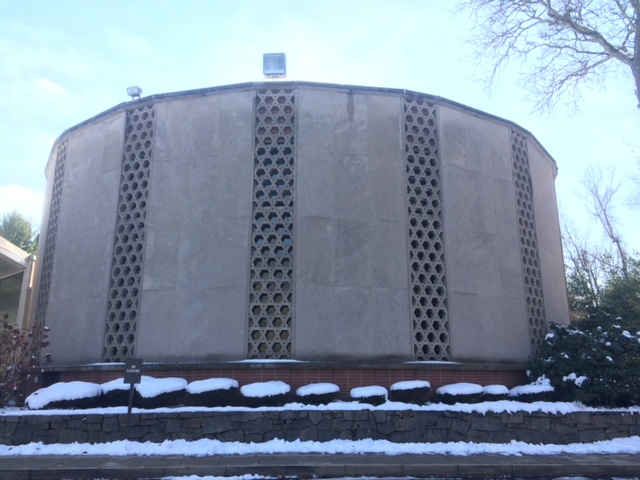 In the 1960s they completed at least four more temple commissions, including the Queens Chamber award winning Temple Sinai in Forest Hills and a new home for Temple Israel on Manhattan’s Upper East Side. The architectural significance of their temples is largely unrecognized but worth further consideration due to the varied designs, high quality of materials, and unique artwork commissioned in stained glass and other judaica. Several of the buildings include round or multiple-sided worship spaces, adding an additional unusual dimension to the designs. By 1970, the firm was exclusively working on large residential and commercial projects, especially hospitals–a typology they had began designing in the 1950s, including a major expansion of Beth Israel on Stuyvesant Square. The firm changed its name to include partners Peter Claman and Al Effron around this time as well, who had both been associated with the firm for more than two decades. Known today as SLCE, the firm continues to design large scale residential commissions and hospital projects, although it still takes on the occasional synagogue project. Oser, Alan S. “Perspectives: Apartment Layouts; Designing Buildings ‘From the Inside Out’.” The New York Times. 12 April 1992. Web. 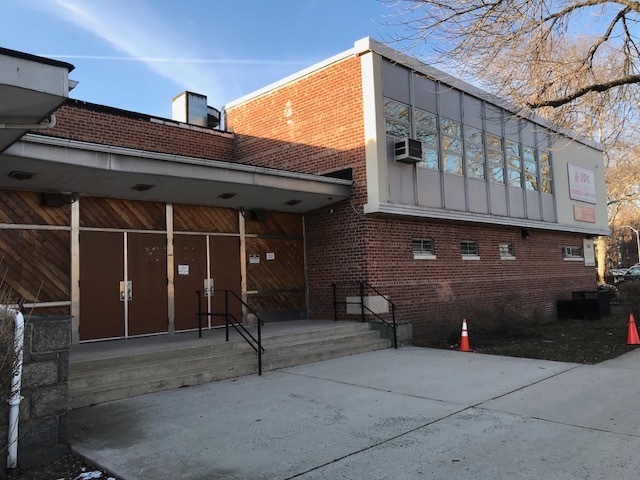 This project is supported by a grant from the James Marston Fitch Charitable Foundation and by the New York State Council on the Arts with the support of Governor Andrew Cuomo and the New York State Legislature.